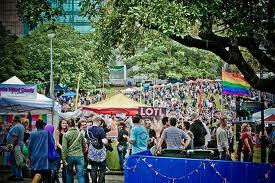 Once again I’ll be doing a one hour closing set on the Main Stage, at the end of Sydney Mardi Gras Fair Day this year. I’ve put together a mix of some crowd pleasers to get you in the mood for the big day. Keep an eye out for my pre mix for Sydney Mardi Gras Party coming in the next few weeks!